Both the Avebury and Stonehenge landscapes have seen considerable research over the last decade or so, substantially expanding our knowledge of these areas. 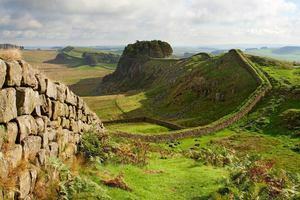 They both sit within protected landscapes and are afforded UNESCO World Heritage Site status. The Vale of Pewsey, on the other hand, is not within a World Heritage Site and yet it lies in the heart of this amazing landscape – midway between Avebury and Stonehenge. It has traditionally been presented as the boundary between these two areas worthy of investigation, rather than an area to be studied in its own right. This all changed a few years ago when aerial mapping by Historic England, significantly expanded the distribution of sites within the Vale. 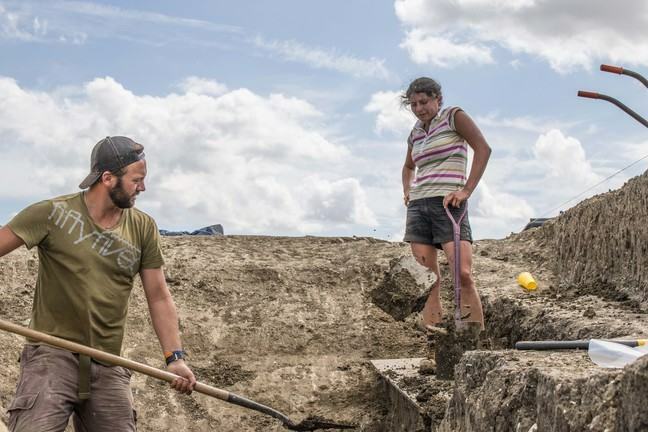 Now providing almost continuous data for the area between Stonehenge and Avebury, and demonstrating that there are extensive and previously unknown archaeological landscapes preserved. This is particularly the case around Marden henge, which sits at the head of the River Avon within the Vale of Pewsey. Enclosing an area of 15.7 hectares within its bank and ditch, it is the largest henge in the British Isles. Jim Leary had previously undertaken some preliminary excavations within Marden henge in 2010, but now these newly identified sites and monuments, particularly the spatially cohesive group along the head waters of the River Avon, form the basis of a much larger landscape project. 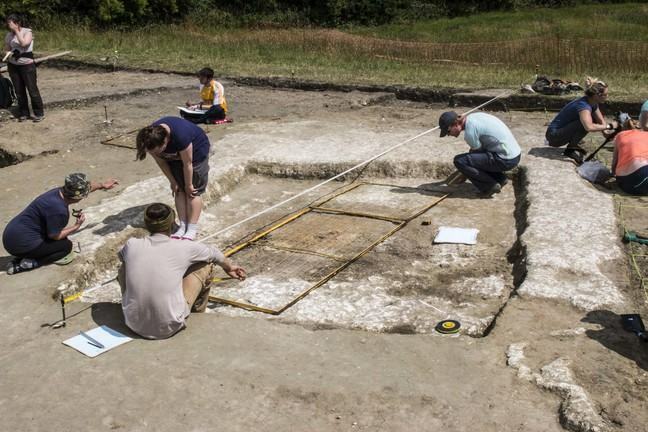 This includes further work at Marden henge, as well as at its neighbour, the Wilsford henge. At the centre of Marden henge once stood a large mound known as the Hatfield Barrow, which was reputedly second only to Silbury Hill in size—reaching as much as 15m in height—though it has long been levelled. An account by naturalist James Norris in 1798, stated that the enormous ditch around the Hatfield Barrow was constantly fed by springs, while Richard Hoare in 1812 also noted that the ditch retained water. “I had the unexpected mortification to find that the great barrow had been completely levelled to the ground, and no signs remained of its previous existence”. The landowner had presumably taken advantage of the damage caused by the antiquaries and levelled it. Another notable feature within Marden lies to the south and is an ‘inner’ henge—a henge within a henge. Excavations here have revealed the chalk surface of an extraordinarily well-preserved Neolithic building, which we will learn about later on. Close to the building were spreads of Neolithic rubbish, which incorporated elegant bone needles, as well as flint flakes and decorated ‘Grooved Ware’ pottery. In one area was a collection of bones from numerous pigs, and clearly represent the remains of a very large feast. Two exquisitely crafted flint arrowheads were also recovered from around this building, and we will find out more about these as the course goes on. On the south side of the river (and broadly contemporary with Marden henge) is the Wilsford henge. This henge is much smaller than Marden, measuring 42m in internal diameter, but excavation across the ditch terminus showed that the ditch is an almighty 3.35m deep and over 13m across. The ditch had initially infilled with sands; presumably material eroded into it. This fill notably contained a collection of large, well-preserved animal bones. An antler pick was also recovered from this fill, representing the sorts of tools used to excavate the massive ditch. In the central part of the Wilsford henge there was a deliberately laid flint cobbled surface. This would have created a level platform for the various activities or performances which took place within the henge. 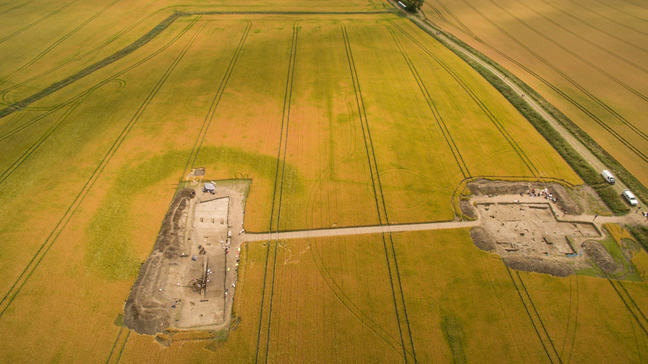 Two rings of large pits or postholes are visible on the aerial and geophysical surveys—one inside and the other outside the Wilsford henge ditch. We excavated some of these; one of them contained the skull of a deer amongst other things. 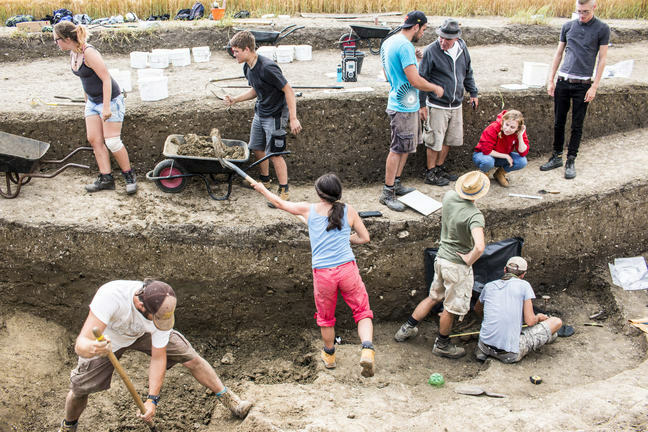 One of our most celebrated discoveries in the Vale of Pewsey came from the Wilsford henge. This was a grave containing the extraordinary and well-preserved remains of a teenage boy. Later in the course, we will look at this remarkable find in more detail, along with some of the other discoveries found at both Marden and Wilsford. The striking feature about these two monuments, Marden and Wilsford, is their link to the River Avon, which runs between them. Both monuments face the river, as if access or good views of this part of the Avon were important. Marden henge sits within a large sweeping meander of the River Avon, and clearly water was intricately woven into its fabric. A large section of the perimeter of the henge is defined by the river and springs which are incorporated within and around the enclosure; even today the ditch holds water for part of the year. The relationship between these monuments and water was evidently a close one and the low-lying nature of the topography, the brooks, streams and springs which characterise the Vale, are key to understanding the monuments in this landscape. Water is likely to have been of sacred importance, and it might be that the river was used as a route-way linking ritual and ceremonial architecture. These monuments may therefore represent a linked chain of cult centres that people journeyed to as an act of prehistoric pilgrimage.